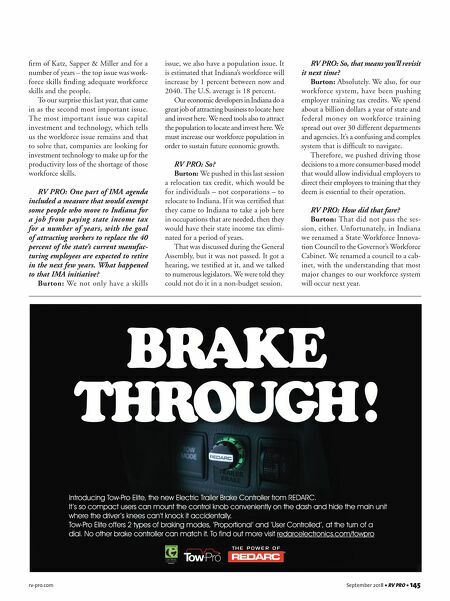 Learn more at www.ADCOprod.com or call us at 800-541-ADCO IT'S ADCO SEASON THE BEST SELLING COVER IN THE INDUSTRY! Stock up now to take advantage of these spontaneous RV protection purchases at your dealership! RV Cover Sales to Consumers JAN FEB MAR APR MAY JUN JUL AUG SEP OCT NOV DEC $$$ MONTH YOU ARE HERE • ADCO and Covercraft Industries are the nation's oldest branded protective cover manufacturers with combined experience exceeding 112 years • We've produced over 35 million covers in our history • The company is built on Service, Quality and Innovation • We protect w hat your cus tomer s love Why ADCO? There's an 80/20 rule with RV Covers. With a handful of sizes in stock you can reach a large audience. Call us to help! Your Customers are about to Winterize their RV's. 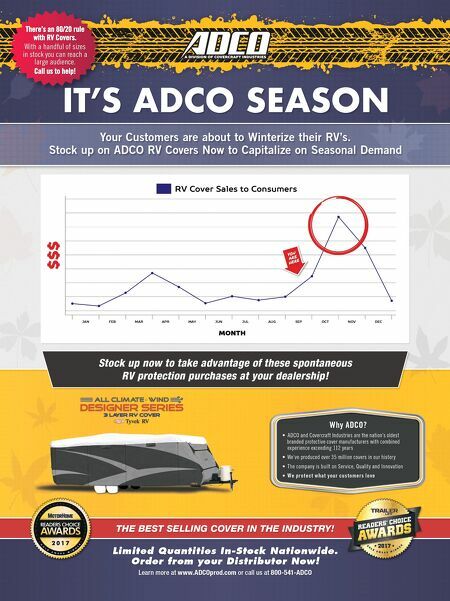 Stock up on ADCO RV Covers Now to Capitalize on Seasonal Demand Limited Quantities In-Stock Nationwide. Order from your Distributor Now!